This is a Breastfeeding Anti Colic Diet which was posted by Nourish Baby. 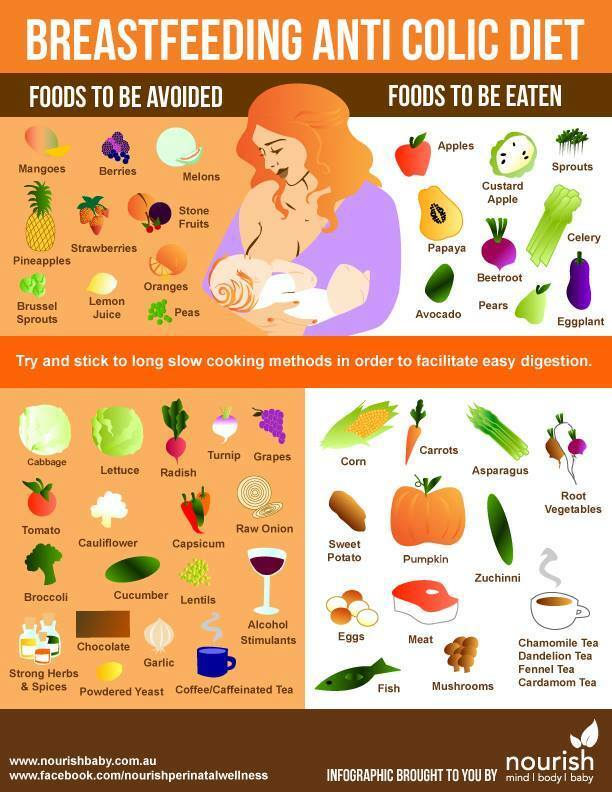 It is a good idea to follow an Anti Colic diet when breastfeeding regardless as the more acidy or coloured foods you eat the more a baby can get irritable. What about dairy? I have heard that can also cause colic.